Xinjiang (xīn jiāng 新疆) is a Uygur Autonomous Region of People's Republic of China. It is the largest region in China, covering one sixth of China's total. A great deal of it is desert and mountain. But cities were founded on oasis growing vegetables and delicious fruits. Its attractions are its people and scenery. Nationalities living in Xinjiang love dancing, singing and playing their own unique musical instruments. They are hospitable people. Visitors will be invited to taste sweet grapes, melons and plums, drink tea, and join the lively dancing. Grapes and Hami melon are well known in the market for their sweet and juicy taste and loved by both the domestic and overseas customers. 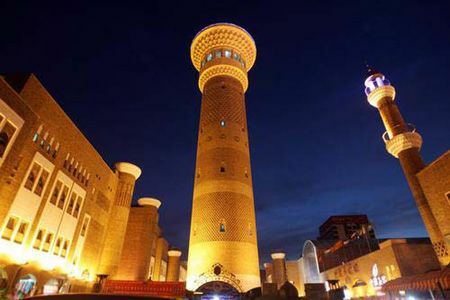 Urumqi (wū lǔ mù qí 乌鲁木齐), capital of Xinjiang Uygur Autonomous Region, has developed its economy, industry, culture as well as tourism and transportation. 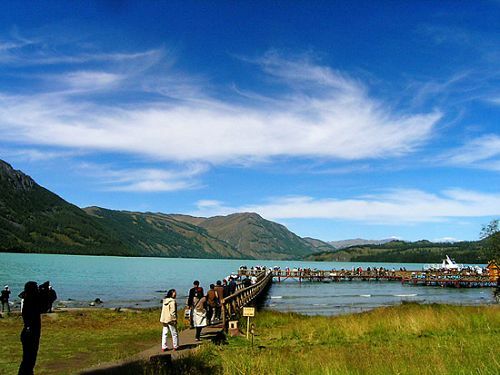 It is the most inland city in China even in the world as the most remote city from any sea. Urumqi is the "Shining Pearl on the Ancient Silk Road", so there are breathtaking views and sweet smell of fruits drift in the air to make it a special tourist destination. Nowadays, it serves as a starting point where travelers can make all the necessary preparations for various trips through Xinjiang. 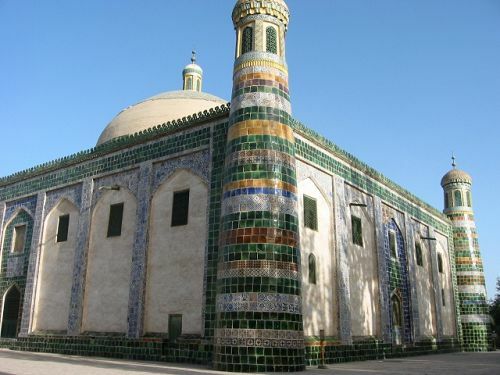 Kashgar (kā shí 喀什) is an important hub on the Old Silk Road, a vibrant Islamic centre within Chinese territory. It is the largest oasis city in Chinese Central Asia and 90 percent of its population of over 3, 000, 000 are Uygur. Kashgar is a remote desert oasis in "another world". The region is completely different than any other part of China in tradition, costume and lifestyle. The western most city of China is the solo outpost of civilization from the vast Taklmakan Desert to the Karakorun Mountains. Located at the junction of the east and the west of China, Turpan is a marvelous city combining Western and Eastern religions and culture together perfectly. It has been a key point on the Silk Road since ancient times, with a large number of historical relics and unique landscapes. The abundant sunshine provides the fruit with ideal conditions to grow. The fruit here is widely famous for its high sugar content, especially the grapes. Thus, Turpan is praised as the 'Hometown of Grapes'. 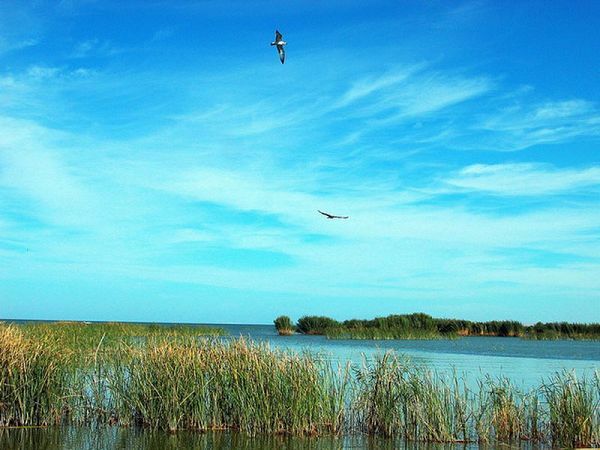 Bosten Lake (bó sī téng hú 博斯腾湖) is a freshwater lake located 57 km (35 mi) northeast of Korla (kù ěr lè 库尔勒), Xinjiang, China in the Bayin'gholin Mongol Autonomous Prefecture. 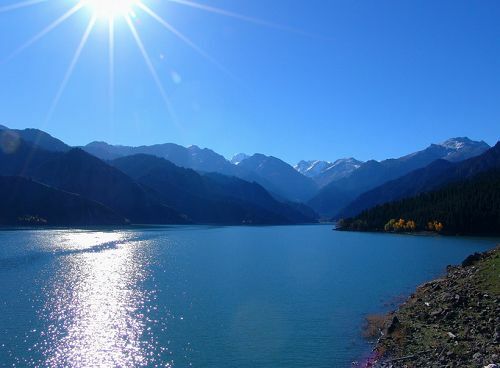 It is the largest lake in Xinjiang and the biggest inland freshwater lake in China.